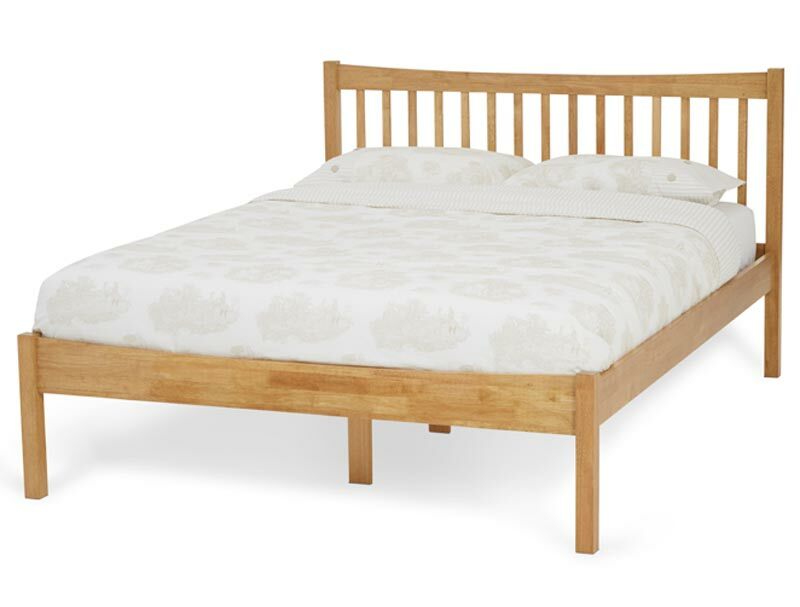 The Alice low foot end bedframe features a simplistic design which is finished in a honey oak colour or a bright white painted frinish. 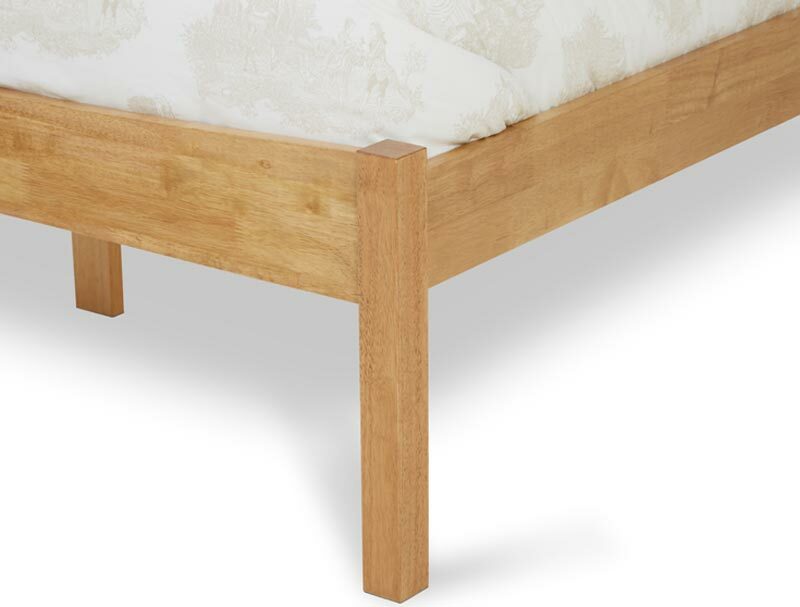 The frame is made from Hevea a south american hardwood and is styled on a traditional shaker design with the added feature of the curvature to the top of the head end. 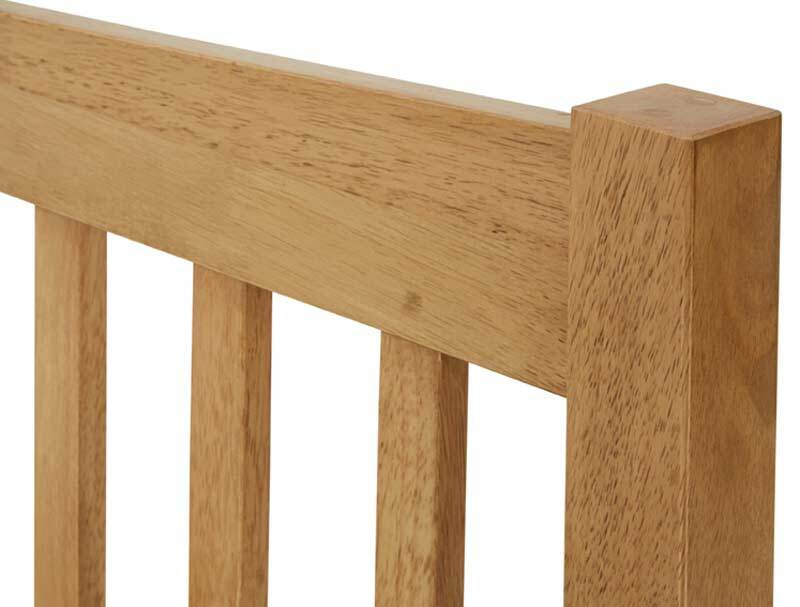 All the fittings to attach the side rails to the head and foot end are hidden from view, enhancing the look of this bedframe. The frame is supported with a sprung slatted base which inturn is supported with up to 2 centre legs. 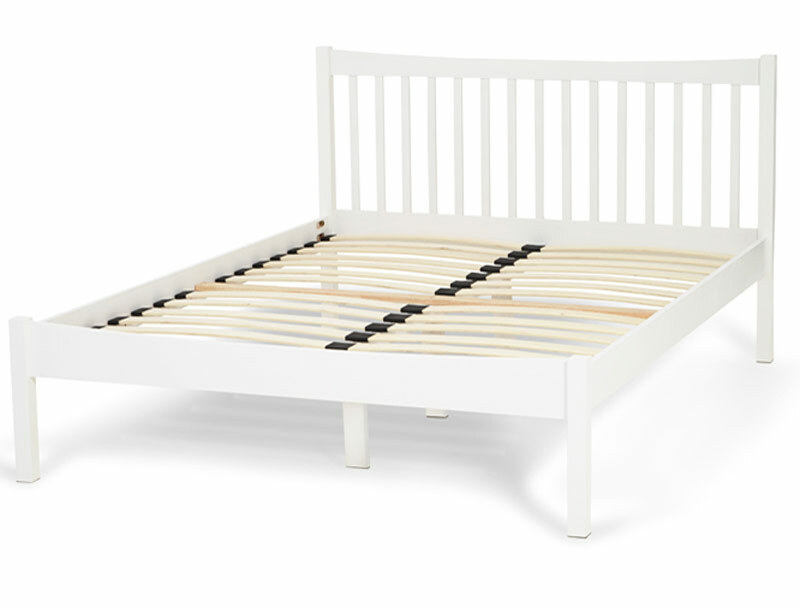 Please note the Alice bed frame is only a lightweight bed frame so only should only be used for a mattress weiging less than 50kg. All Serene wooden bed frames are delivered flat packed for home self assembly and have a sprung slatted base.